Not all the Christmas shopping happens before Christmas. It’s the day after sales which are becoming equally important to the state of the economy. This year the pre-Christmas sales were rather sluggish which is why retailers are hoping for a big post holiday push. Stores will go out of their way to clear off their shelves by offering discounts as high as 70% off retail price. Then there are all those gift cards and returns to contend with. You might have been on the receiving end of the dreaded ugly Christmas sweater that you’d like to trade in for a new pair of shoes. And all of those discounts are perfect to get the biggest bang from your gift card. It has gotten so that the day after Christmas is as important as the day after Thanksgiving for those self-described diehard shoppers. Another thing to contend with after the holidays is all the cleanup. Many Albany residents are dealing with mounds of wrapping and boxes that have to be tossed out. In some cases it might take at least two weeks of garbage pickups to get rid of everything. Then there are all the oversized items you’ll be tossing out that might have been replaced with a new Christmas present. It’s not a stretch to imagine that some folks found themselves waking up on Christmas morning to a new vacuum cleaner, microwave or even a fridge. What will you do with the old ones? You can store them out in the garage or down in the basement but wouldn’t it be better to get rid of them once and for all? And let’s not forget the Christmas tree. That’s going to have to be taken care of as well. Finally, you might also be contending with several old devices which would fall into the e-waste category. These would be the outdated television sets, computers, printers and/or cell phones that have been replaced by new models. You can’t throw any of that stuff out in the garage. So who can handle all the boxes, wrapping paper, e-waste, old Christmas tree and oversized items in one trip? That would be Capital District’s Junk King. All the Albany based Junk King crews had a wonderful Christmas but they’re now eager to get back to work helping folks clear out the clutter in their lives. You might start seeing the big Junk King trucks making the rounds in your neighborhood. If so, ask your neighbor how things worked out for them. Chances are they’ll tell you have extremely satisfied they are with the Junk King. When you’re finished with all your after Christmas shopping give Junk King a call. They’re standing by to help! This entry was posted in Albany Junk Hauling, Albany Junk Recycling, Albany Junk Removal, Christmas Tree Disposal and tagged Albany Christmas Tree Removal on December 27, 2012 by Todd Porter. Last updated August 1, 2017 . While it is true that a brand new washing machine and dryer combination might not be the most romantic of gifts, it is still a present that will be used all throughout the year. That’s a lot more than an outrageous sweater or loud tie. If shopping for a new washing machine/dryer combination is on your holiday list this year, you’ll want to consider a few factors before heading out to the store. The first issue to think about is one of capacity. Do you know how much a typical load of your laundry might weigh? The average is anywhere between 12 to 16 pounds (depending on how long between washes!). Knowing that you can search for a washer that has a large capacity like a 4.5 cubic feet size. That type of washer can handle a load of up to twenty pounds. For the occasional bulky item like a comforter you might be better off going to a nearby laundromat or dry cleaner. Next, you’ll want to think about size in terms of your laundry room space. Don’t think that the new model you might be buying will automatically fit where you old model now rests. Take a measurement to be sure. 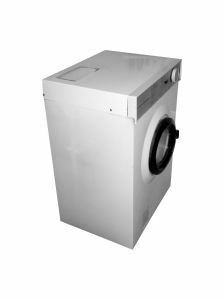 You also want to think about the options of a front loading versus top loading washing machine. Obviously, if you’re going to stack your washer on your dryer front loading is the only option. However, front loading washing machines tend to be quieter than the top load design. That would matter if your washer is going to be on the other side of someone’s bedroom wall! You also want to think about how much it’s going to cost to run a load of laundry. The average amount of water used for a typical wash is around 40 gallons on the older machines. Today, with improvements in design you can find energy efficient models to get the job done using half of that water. That’s going to have a terrific impact on your monthly water bill for sure. Finally, you’ll want to make plans to get rid of the old washer and dryer before the new models are delivered. Although this might seem like a daunting task it’s really a breeze especially when you hire a company like Junk King Capital District. They are the Albany junk removal specialists who will make short work of getting rid of your washer and dryer. Not only will Junk King send you a crew of capable movers but they’ll also have a big enough truck to accommodate your appliances. In fact, that same truck can be loaded up with the rest of your unwanted junk to be carted off in the same trip. Thanks to Junk King you’ll be able to make room without breaking a sweat! This entry was posted in Albany Appliance Disposal, Albany Junk Hauling, Albany Junk Removal, Junk King Capital District, washing Machine Disposal and tagged albany ny junk removal, Albany Washing Machine Disposal, Junk King Capital District on December 18, 2012 by Todd Porter. Last updated August 1, 2017 . Have you got $42 billion to spare? If so you could donate it to the state of New York to help them with the cleanup and repair caused by Hurricane Sandy. That’s the amount that Governor Cuomo is looking to scrounge up to get the job done. There is a hope that the federal government will pitch in with some funds but with all the talk of a looming economic fiscal cliff the request for money couldn’t have come at a worst time. The Governor told a local paper that “The storm caused $32.8 billion in damage and the state will need $9.1 billion for commonsense mitigation and prevention projects, including flood protection for the World Trade Center site and road and subway tunnels, fuel supply system power generation and sewage treatment protection, and secondary power supply systems for hospitals.” In other words, New York needs to get ready for the next big storm! Hopefully, your own storm related cleanup project won’t be as costly. In fact, no cleanup and removal job should cost you a crazy amount of cash and it won’t if you hire Junk King Capital District for the job. That’s because Junk King’s pricing policy is based on the amount of space your junk will be taking up in their truck. There won’t be any other surprise fees like with other companies out there. With Junk King Capital District you’ll be able to finally get rid of all those things that have been causing you to grumble about over the years. You know what we’re talking about. It’s the smelly couch down in the basement that nobody wants to sit on. It’s that treadmill out in the garage that nobody uses. It’s the old washing machine stuck out on the back porch. Hanging onto those things isn’t really your fault; you just never had the means to get rid of them. By hiring Junk King you will have the means. That’s because Junk King supplies you with a strong crew and a big empty truck. All you have to provide is the junk. Take a tour through your home. What are you ready to get rid of? Letting go of junk is really about freeing up space. Couldn’t you put that spare room to better use then a storage locker? Wouldn’t you like to actually park your car in the garage instead of on the street? Are you ready to toss out the backyard debris that has been piling up? Junk King can help you with all of those issues. They are fast, efficient and dependable. Use them once and you’ll be recommending them to all of your friends! 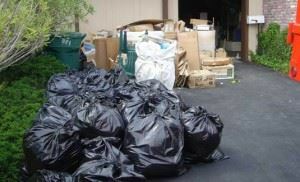 Call Junk King Capital District today and get your junk gone by tomorrow! This entry was posted in Albany Appliance Disposal, Albany Junk Hauling, Albany Junk Removal, Albany Storm Cleanup, Get Rid of Junk Albany and tagged albany debris disposal, Albany Junk Removal, capital district hauling, Get Rid of Junk Albany, Junk King on December 1, 2012 by Todd Porter. Last updated August 1, 2017 .